Contributors include Stephen King, Joyce Carol Oates, Robert Olen Butler, Michael Connelly, Megan Abbott, Craig Ferguson, Nicholas Christopher, Jill D. Block, Joe R. Lansdale, Justin Scott, Kristine Kathryn Rusch, Warren Moore, Jonathan Santlofer, Jeffery Deaver, Lee Child, and Lawrence Block himself. Even Gail Levin, Hopper’s biographer and compiler of his catalogue raisonée, appears with her own first work of fiction, providing a true account of art theft on a grand scale and told in the voice of the country preacher who perpetrated the crime. 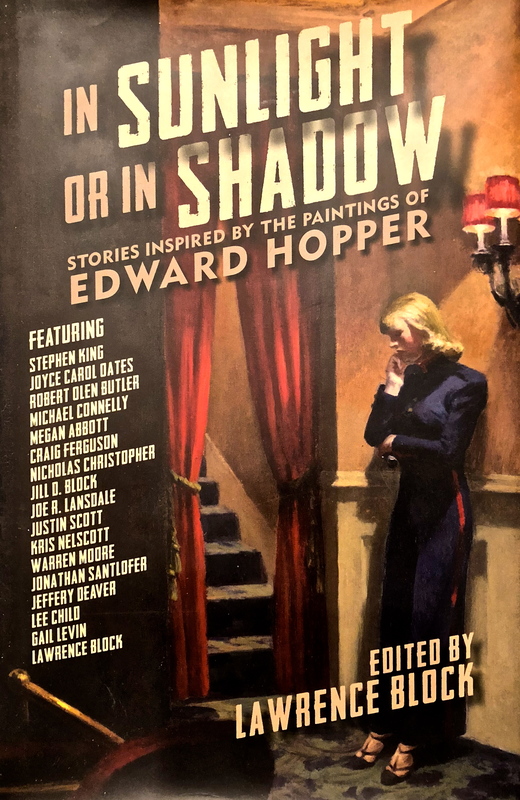 In a beautifully produced anthology as befits such a collection of acclaimed authors, each story is illustrated with a quality full-color reproduction of the painting that inspired it.